Commodore Amiga 1200 - Rev 2B recapped, timing fixed, RF removed. Official 3.1 ROM's installed. I love these machines, so to make sure it's tip top before sale I sent it to Steve @ Amiga Passion for a full service. This is a family airloom and has been in storage for many years since childhood. Outer box has signs of wear couple of key have yellowing (numbers). box inserts swell. Commodore amiga 1200. Condition is Used.with 4 mb expansion card Dispatched with Royal Mail 2nd Class. 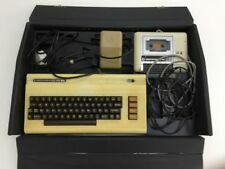 Commodore amiga 1200 desktop dynamite Package.Used, but in excellent Condition, has been kept boxed, but shows some yellowing with age, but has no marks or damage. Includes: Amiga 1200 computer. Power pack. Unfortunately, tv lead is missing, but I imagine that this is a generic lead, and easily obtainable. Mouse. User guide. Deluxe Paint IV. Dennis. Oscar. Wordsworth. Print manager. 7 other boxed games Various Amiga discs, see photos. Condition is Used boxes very tatty and I`m unsure if working it turns on as shown in photo.Sold as seen. 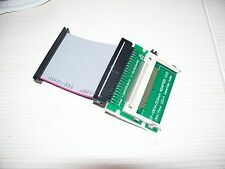 A600/A1200 cf hdd adaptor &44 pin ide lead VH.2 COMMODORE AMIGA 1200 & A600 Laptops Atari hard drive models Please note A600 ****Requires kickstart 37.300 or Above for large HDD**** ---Brand new cf adaptor high quality ---This Adaptor will flash the Amiga HD led light ---Just add a CF memory card to suit you ---I recommend Sandisk cards upto 4gb or Transcend ---You can use CF memory cards above this but require special knowledge of SFS or PFS3 etc ---HD software required to format & partition the drive ---Download demo`s, music, games off the net ---Information supplied where to go websites & HD install guide ---5cm ide lead. No yellowing on this Amiga. All key checks done. Item shows signs of use as it is over 20 years old. Frontier Elite II. Deluxe Galaga! Commodore Amiga 1200 Desktop Dynamite. Condition is Used. Dispatched with Royal Mail 2nd Class. Computer Collector Or Commodore Enthusiast. Do Not Buy This Computer. 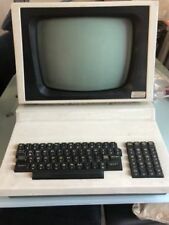 This Computer However Is In Good Working Condition. This Computer Sports. As You Can See. Mouse Buttons Are Stiff. As You Would Expect. Commodore Amiga 1200. Downsides- has the usual yellowing to the keyboard and to the lower edge of the case (all is visible in the photographs), minor yellowing to the mouse. The mouse works very well, both buttons feel very healthy. Am ig a 12 00 w it h a newjoystick an d no m ou se w or ki ng a nd w it h floppyd is ks m ou se required. Amiga 1200 with hard drive Boxed. sy16 newtown powys wales. all works fine. Compatible with Amiga 1200 only. It is a Kickstart 40.068 (Commodore Edition). You need them to use Workbench 3.1 in your Amiga. You will get two 40 PIN modules. You should repleace your old modules with new ones. Linksys Ethernet cards - PCMCIA for Amiga 600 and Amiga 1200. - browse Amiga friendly sites using - iBrowse, AWeb web browsers. - use GoogleDrive and Dropbox using Amiga Cloud Handlers. - listen to online radio (if your Amiga is fast enough ;). Trolls, boxed, two disks and instruction booklet. Amiga A600 with Kickstart 37.300. Any Amiga A1200 with Kickstart 3. Insert SD/SDHC/SDXC 2GB to 128GB capacity card to turn it into a CF type I (compact flash card) ready to use with the PCMCIA CF adapter. By:Microillusions 1989. for Commodore AMIGA. Software tested on Amiga 1200. PHOTON PAINT 2.0. PHOTON PAINT 2.0 :BOX, MANUAL. PROGRAM DISK, PROGRAM BACKUP COPY DISK. PAL version. Software tested and fully working. JUNGLE STRIKE. By: OCEAN & Electronic Arts. Fully tested and working. All diskettes tested for errors underX-COPY. In a resaleable condition. 6 - Still like NEW - sealed, never be in use or hardly used. Amiga 1200 mobo revision 1D with ROM 3.1, fully working. BlizzardVision PPC with 8MB 64bit SGRAM. BlizzardPPC 603e 330 MHz 060/66 MHz revision 6 256 MB RAM SLIM, version 0, No SCSI. Floppy drive 880 kB. By: MicroProse Ltd 1994. For Commodore AMIGA 1200. UFO ENEMY UNKNOWN. 0 - For parts only - Missing parts, scratches, cracks, marks, ect. broken disks. Poor in overall condition. It is not about destroying the surface of disks, it is about demagnetization of surface. For Commodore Amiga. GET SERIOUS WITH THE AMIGA. Tested on Amiga 1200. Fonts & Clip Art. 1 - 11 Fonts : 11 disks. Tested and fully working. All diskettes tested for errors under X-COPY. 6 - Still like NEW - sealed,never be in useor hardly used. REF: PDU136. AMIGA PD & SHAREWARE Edition. For Commodore AMIGA 500 600 1200. By: AMIGA September 1993. KEYBOARD TRAINER. Fully tested and working. Diskette also tested for errors underX-COPY. It is not about damaging the surface of disks, it is about demagnetization of surface. Commodore Amiga 1200 / 4000 AGA version. SECOND SAMURAI. Fully tested and working. Also discs tested underX-COPY. In a resaleable condition. 0 - For parts only - Missing parts, scratches, cracks, marks, ect. broken disks. For Commodore AMIGA. Tested on Amiga 1200. PLATINUM EDITION. for The Works! Platinum Edition familly. Tested working. All diskette tested for errors under X-COPY. In a resaleable condition. For Commodore AMIGA 1200. 0 - For parts only - Missing parts, scratches, cracks, marks, ect. broken disks. Poor in overall condition. It is not about destroying the surface of disks, it is about demagnetization of surface. For Commodore Amiga. Tested on Amiga 1200. By: Wolf Faust 1992-98. 0 - For parts only - Missing parts, scratches, cracks, marks, ect. broken disks. Poor in overall condition. It is not about destroying the surface of disks, it is about demagnetization of surface. Required "workbench.library":Because workbench.library is not part of 3.X ROMs, a "Libs/workbench. library" file, as included in the Classic Support Workbench 3.1 set by Cloanto, must be present on the boot disk. The 3.X ROMs have a size of 512 KB, and are therefore compatible with all Amiga models except for the Amiga 1000. For maximum compatibility, the Amiga boot partition should be the first partition of a disk, and it should not be larger than 4 GB. Commodore Amiga 1200 and software, tested with power pack and powers up, disk drive sounds like it's working but I don't have a monitor so can't test fully. Found in an abandoned storage unit. Includes a lot of software/games, set of speakers and a light gun again untested. 2 x Amiga internal Floppy Drives (Not Shown - Take Pics Tomorrow). The two spare internal drives I have appear to be PC ones and NOT Amiga, as previously stated. I do apologise if this causes any inconveinience. As the discs are untested they are sold for parts or not working. The Commodore Amiga is notable for its graphics power and sleek user interface, attracting a firm body of computing enthusiasts for several decades. 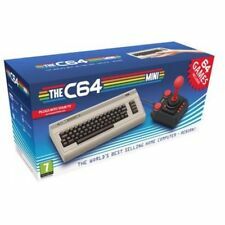 With each new model introduced at computing festivals across the world, Commodore has added new features and more raw power to an already well-received base, which became popular for its creative software and gaming options. 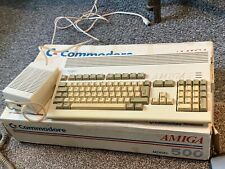 From the Amiga 600 to the Amiga 4000, you can find a large collection of different Amiga products on eBay, varying in model, condition, and user customisation. What Commodore Amiga 1200 upgrades are possible? The most common Amiga 1200 upgrade is to increase the available amount of ROM by inserting a new chip. Other upgrades can be performed, though; typically by adding external Hardware, such as joysticks. Amiga products and external hardware an be purchased used from eBay and may already have been modified by previous users. If you intend to modify your own Amiga, each product may have a slightly different procedure, so refer to the manufacturer's instructions. How should a Commodore Amiga 1200 be maintained? The Commodore Amiga 1200 shares many hardware features with other Amiga models. Whilst it does not have an on-board battery, it does have capacitors, which will require maintenance. What Commodore Amiga 1200 games run smoothly on that model? As a rule, the Commodore Amiga 1200 offers sufficient graphic capability to run any game released for the Commodore Amiga operating system, although certain games designed for the older ECS chipset may run a little slowly. In this case, the issue lies with the software, rather than the Amiga 1200 itself. What is different between each Commodore Amiga model? Since the first Amiga model was released in 1985, these computers have undergone development and improvement. All Amiga computers aimed to prioritise a user-friendly interface and boast strong graphic capabilities and creative software. Each generation, however, differs slightly in terms of available functions. Amiga 500, 600, 1000 and 1200: These are first-generation Amiga models, featuring the older ECS chipset. Amiga 3000: This is a second-generation Amiga model, featuring a more powerful processor and the AGA chipset. Amiga 1200 and 4000: These are third-generation Amiga models, primarily differentiated by graphics and screen resolution improvements. Content provided for informational purposes only. eBay is not affiliated with or endorsed by Commodore Amiga.